After playing a couple of huge, nearly endless, AAA titles, I wanted to play a couple of smaller, indie games as a change up. I got my wish (and cheap, too) thanks to a Playstation Store sale. First up on the list — Thomas Was Alone, a platformer starring flat, colored shapes. It’s way better than it sounds, trust me. Thomas Was Alone is a minimalist platformer centered around a red rectangle named Thomas. He is alone in the world and isn’t quite sure of his place, but he feels a calling to go towards the white doors he keeps seeing. These doors are typically up and to the right of his starting position. The developer’s website says it best: Thomas Was Alone is a minimalist game about friendship and jumping and floating and bouncing and anti-gravity. Each of the 10 chapters start off with a quote from a programmer or developer, telling you that Thomas is actually a sentient piece of code in a large server farm. Regardless, a game that just starred a plain rectangle jumping around wouldn’t be too much fun, which is where the narrator comes in. His soothing yet energetic voice gives life to the flat, faceless shapes that are Thomas and his friends. Oh, Thomas isn’t alone for very long. 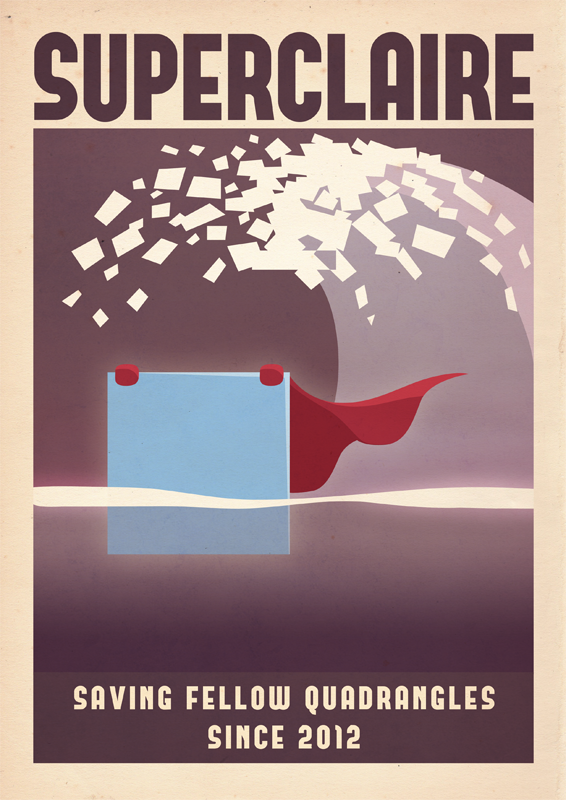 He soon meets up with other shapes, each with their own names and personalities. There’s Claire, the large blue square who thinks she’s a super hero and can also float in the normally-poisonous water to ferry others across. There is also Laura, the horizontal pink rectangle who is lonely because people use her for her springboard ability and tend to leave her behind. John is a tall, thin, yellow rectangle who can jump higher than the rest and loves to help people. All of these friends must work together, squeezing the right characters into the right spaces and reaching high enough, to all escape the puzzles laid out before them. It’s both surprising to me and a testament to the game’s writing and voice acting that these simple shapes can have such deep personalities. By the end of the ~3.5 hour game, I was really feeling for them. Not an easy thing to accomplish with seven faceless, voiceless shapes. The simple, minimal design of Thomas Was Alone helps that feeling along, stripping away any flashy graphics or intricate controls to force you into focusing on the characters and their relationships with each other. The world is dark with black ground and floating platforms, each with a white-outlined escape door for each character in the level. There are a couple of classic platformer tropes like auto-kill spikes and poisonous water, but that’s really it. Each of the 10 chapters has 10 levels and each chapter has two small items to grab, simple collectibles which give you a reason to take in each level instead of just powering through as fast as possible. Tight design helps make Thomas Was Alone a great little game. Levels build in complexity as the game goes on and as you have access to more characters, replacing the typical jumps in difficulty that come with new abilities and power-ups with using each new character with the strength they bring to the table. Most levels build on the previous few, adding more verticality, more spikes, and more buttons to press than before. Overall, though, Thomas Was Alone isn’t a difficult game, which is a good thing because you don’t become frustrated by difficult puzzles and instead can enjoy what it has to offer. The combination of characters varies from level to level and make for some really well designed puzzles. One set of levels stars Thomas and James, a green rectangle with the same jumping ability as Thomas except that he is impacted by gravity in reverse. Some of these levels have a nice duality to them, essentially being the same level twice with a line drawn horizontally down the middle. You also need to use the pair of them to essentially fly, having Thomas stand on top of James in mid-air, slowly moving and jumping the two of them across gaps and through canyons. It’s clear that developer Mike Bithell has made a lot of people feel for these simple shapes. 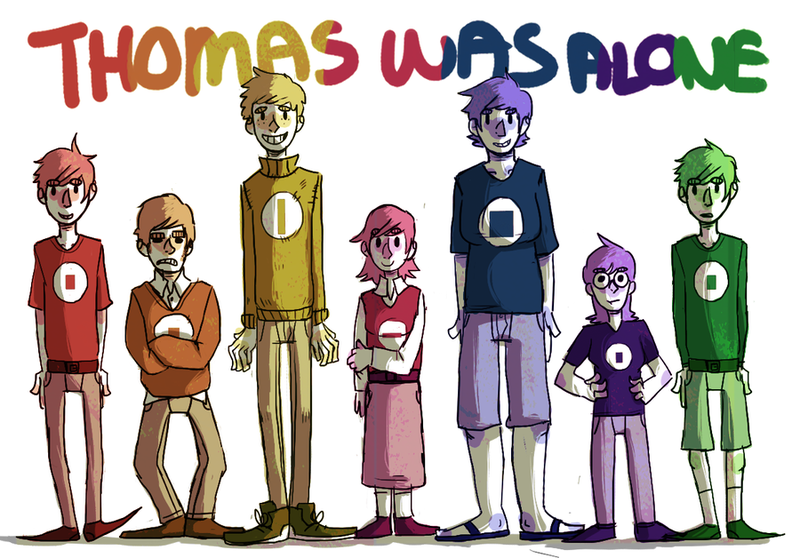 If you search for “Thomas Was Alone fan art”, you’ll find a ton of pictures like a poster of Super Claire, a mashup in the style of Castle Crashers, and a slew of pictures showing the characters as actual people. I know I sound like a broken record but it’s really a sign that the narration and simple quotes shown on screen can breathe life into plain polygons. The SS Claire sets sail. I really enjoyed my few hours playing Thomas Was Alone. The unique twist that characters are flat shapes given life through narration is really interesting. All in all, spending less than $10 to sit down and play Thomas Was Alone over a few sessions was worth every penny. I’ll remember this game for a long time to come. If you’re in the market for a quick but new experience, give it a shot. Really liked your review! I’ve been eyeing this game for a while since I really love story driven games. If you have any other games that focus on a strong narrative, I’d love to hear your recommendations:) (and it wouldn’t hurt to have a romantic subplot either-just not a choose a character romance).